https://www.wfmt.com/2019/02/22/gambists-eric-miller-phillip-serna-play-bartok-and-abel/https://www.wfmt.com/2018/09/06/new-comma-baroque/ On February 22, 2019, WFMT presented excerpts from ViolMedium‘s February 3rd program ‘Façades & Duplicities‘ on WFMT’s Music in Chicago hosted by Lisa Lynn. The program was performed at Emmanuel Episcopal Church of La Grange and included the Duetto in G-Major, A3:5A from the Maltzan Collection by Carl Friedrich Abel (1723-1787) & excerpts from the Duos, Sz.98 by Béla Bartók (1881-1945). Often labelled as ‘the last gambist‘ and a 3rd-generation viol performer, Carl Friedrich Abel was son of Christian Ferdinand Abel, viol performer in court ensembles led by Johann Sebastian Bach. After studies in Leipzig and a post to Johann Adolf Hasse’s court orchestra in Dresden, Abel joined the London court of Queen Charlotte where he befriended Bach’s son, Johann Christian with whom he established the Bach-Abel Concerts. ViolMedium is performing the Duetto in G-Major, A3:5A from the first edition first edition edited by Sonia Wronkowska, Edition Güntersberg (www.guentersberg.de) from sources owned by Count Joachim Carl Maltzan (1733-1817) held by the Library of the Adam Mickiewicz, University in Poznań, Poland, discovered alongside twenty-seven sonatas by Abel and two previously unknown sonatas by Johann Christian Bach and Andreas Lidl. Commissioned by German violinist Erich Doflein, Béla Bartók composed his 44 Duos, Sz.98 in 1931 as a series of pedagogical pieces not unlike his Mikrokosmos (1926-1939). Bartók draws from a variety of Eastern European folk melodies & dances as per his youthful ethnomusicological travels with colleague and composer Zoltán Kodály, representing music of many eastern European oral traditions: Hungarian, Romanian, Ruthenian, Serbian, Slovak, Ukrainian, and more. The exquisite quality of the counterpoint, as well as the timbral contrasts, harmonies and melodies make these works ideal for translation to the transparent colors of violas da gamba. For more information on WFMT’s Music in Chicago, visit https://www.wfmt.com/programs/music-in-chicago/. For more information on ViolMedium, follow us on Facebook at http://www.facebook.com/ViolMedium/ & on Twitter at http://www.twitter.com/ViolMedium. 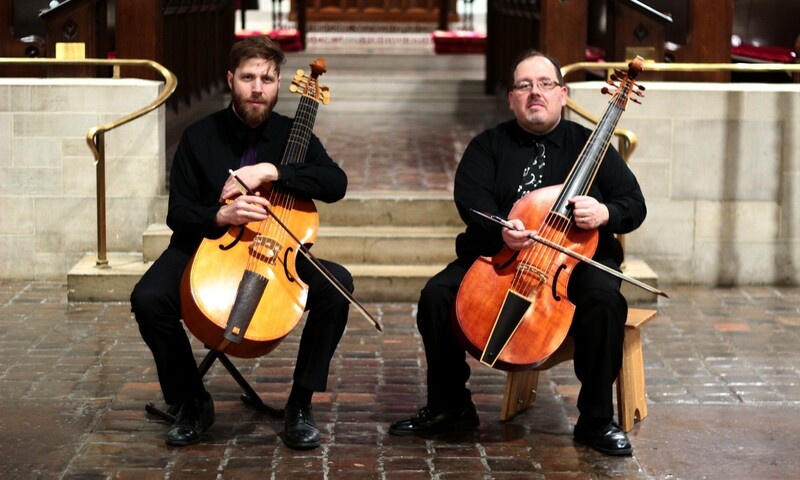 Founded by gambists Eric Miller & Phillip Serna, the viol is the medium through which we bridge contemporary & historically-informed performance with experimental and innovative programming for violas da gamba – ViolMedium!